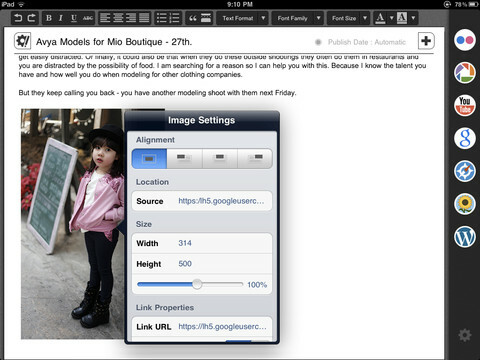 Blogsy, a blogging tool for the iPad, has been updated with numerous new features and support for more platforms. 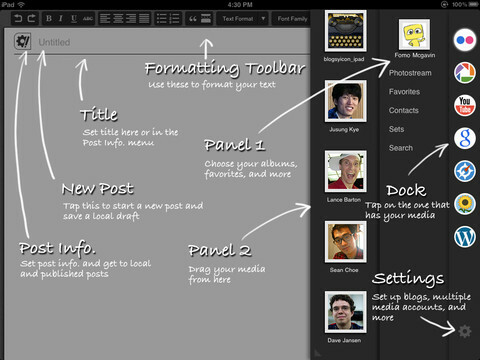 Blogsy is a tool designed specifically to take full advantage of the iPad's unique touch functionality. Adding your photos and videos is as easy as dragging them from the media sidebar and dropping them into your blog post. This makes writing blog posts as easy as it should be, saving you from the hassle of jumping from app to app to manually copy/paste embed codes or links. Simply put, we think that Blogsy makes writing so easy that you will use it instead of your computer. - Found a good article? Drag and drop it's URL to instantly create a hyperlink in your blog post.. No coding required! 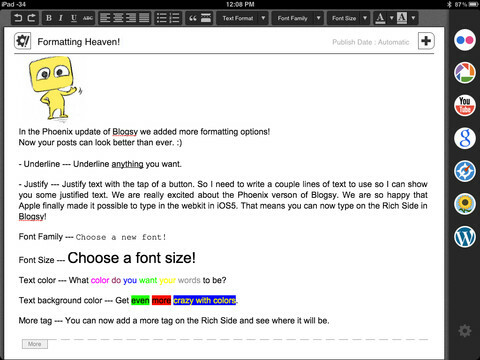 - Style your blog posts with the tap of a button - bold, italics, text alignment and more. - Full support for multiple blogs and Flickr, Picasa and YouTube accounts. - Easily change image and video properties and alignment through menus. - Write and edit HTML. Though using Blogsy's 'Rich Side', you'll probably never want to; everything from bolding text to creating links to image alignment can be done with the tap of a finger. - Set or create lables/tags and categories, toggle comments on and off, and set visibility. - Create scheduled posts, online drafts, and pending-review posts. - Support for local drafts. - Edit or delete online posts or pages. 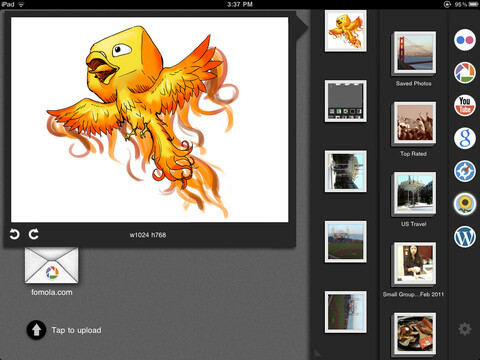 - Upload images from your iPad photo library to any blog media library, Picasa and Flickr. You can purchase Blogsy from the App Store for $4.99. purchase Blogsy from the App Store for $4.99.